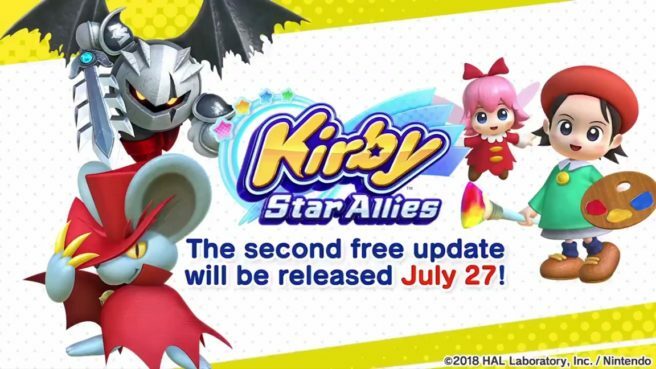 The Kirby Star Allies news channel has revealed a few more details for the second major update arriving July 27. Starting from the next update, players will be able to make multiple saves in the Guest Star mode. Currently, you can only have one save file in Guest Star. Newly added Dream Friends will also have their very own maps to play, and stages have been reconfigured and fine-tuned to suit the new Dream Friends’ abilities. Finally, if you watch the credits after clearing Guest Star, the friends you’ve cleared it with will appear in the audience.